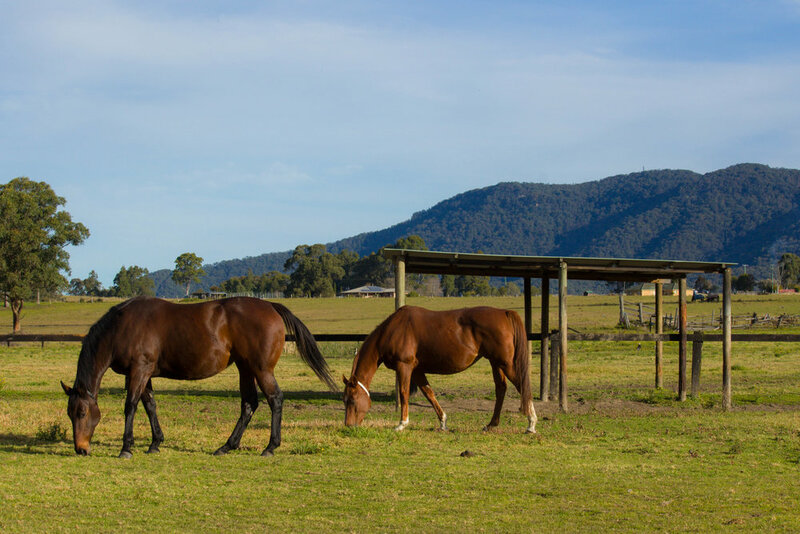 The following farm mares have been served in 2017 for the 2018 foaling season. Here's Mike's take on who he chose, and why. 1. One More Tequila/ Pierro. One More Tequila was the winner of 3 races and is a half to 5 winners from 6 to race, out of a SW 2yo winner of 2. She won on good and soft tracks but was possibly happiest with the cut out of the ground. She is a maiden mare and this is her first cover. Pierro has done an exceptional job and one would expect that the result of this mating will be a late 2yo. Type wise, the match will give a 3yo sort. 2. Our Scene Steeler/Super One. Our Scene Steeler is a Group performed winner of 3 and a granddaughter of Comely Girl. The result of this mating would give a 3/4 to Cudabeen and Shudabeen. Cudabeen’s race career was prematurely cut short through a paddock accident. She won 3 of her last 5 starts, 4 wins in total, winning on debut and twice in the city. She was capable of a sub 32sec 600. Shudabeen, a 3yo, has competed in many good races and is yet to show her true ability. She has won 2 races. Super One is a good match type wise. Caesarissa is in foal for the second time. She is from the family of Fanfreluche and and by a Champion 2yo son (Holy Roman Emperor) of the family of Fanfreluche. She has been mated with Deep Field who is a grandson of Encosta De Lago another from the family of Fanfreluche. The mating is 6d x 4d to Secretariat, 7s x 6d to Aspidistra and 7s x 6s to Rough’n tumble. it was felt that Deep Field was a good match type wise. An unraced Magic Albert mare and as I Am Invincible has worked well with Magic Albert (Zeditave) mares It seems a good fit to try Super One. The mare is a very strong type that could have raced but for injury. She will match well physically. Monarchy 6d through the sire and Round Table 7s x 7s through the sire and dam, brother and sister, are on both sides of the pedigree. Super One was a 2yo and Marchant Street had the physique to be one. Consolari is a half sister to Group3 2yo winner, Fiesta. She was a lighter filly than Fiesta and was not as early. Odyssey Moon was a Snitzel 2yo that was competitive with his counterparts of the year. Physically Odyssey Moon will suit the mare. 5d x 6s bred to Storm Bird. 4s x 4s to Danehill. Odyssey Moon will put some strength into the mare. Foxwedge has an affinity to Foxwedge IMHO. For me, nothing else mattered. The mare is older, no chance to experiment. Another Foxplay. Ultima Carta was unraced due to injury. 2yos are not easy to come by in the dams pedigree. Went for 2yo blood, not obvious in Wandjina. Danehill 4s x 4s; Lunchtime 4d,5s,7d x 4d; Mill Reef 5d x 5s; Biscay 7s x 5d,6s. sufficiently charged to leave a 2yo! 8. Antarctic Dream/Pride of Dubai. The objective here was to get a 2yo with more strength than Antarctic Dream had. She won 2 as a 2yo. Pride of Dubai won 2 Group 1’s as a 2yo and will give her strength as he is a big horse. The result is inbred to Halo 5d x 4s, Halo is out of half sister to Natalma. Dunhill is inbred to Natalma 3s x 3d. There are 4 strains of Natalma in the pedigree. Vancouver is the same family as Invincible Spirit that has done so well here through I Am Invincible. Vancouver won the Golden Slipper and this is an attempt to sharpen up a pedigree. Stratance is by a Slipper winner in Stratum as well. one hopes for a Slipper result! 3d x 4s inbred to Danehill. 10. Satirical Lass/Shooting to Win. Satirical Lass is by Flying Spur and won her first race as a 3yo. She won 5 races, 3 in the city. Shooting to Win is a grandson of Encosta de Lago and that fits well with a Flying Spur mare. It has thrown a type for us before and the horse is only a yearling, so we will try again. 3s x 5d inbred to Rolls also 6d x 6d to Secretariat. 11. China Road/No Nay Never. Dynastic is out of China Road and was a 2yo winner. No Nay Never will tidy her up physically and hopefully give us a 2yo. 12. Sandy Desert/Pride of Dubai. Sandy Desert was a 2yo as was Pride of Dubai. Pride of Dubai will give Sandy Desert more strength and size. Halo is a 3/4 brother to dam of Rexon Royal Match. They are both out of Cosmah, half sister to Natalma. I like the interaction of such good dams/relatives. The result will be 5s x 3s to Danehill, 7d x 4d to Fanfreluche, 6s x 6d to Cosmah and refer to the relationship with Danehill who is 3s x 3d to Natalma, Cosmah’s half sister. Roman Sandals had speed as a 2yo but no stamina. Dissident won a Listed race as a 2yo, Blue Diamond Preview, and is the son of the Slipper winner Sebring. 14. Venus Amoris/Shooting to Win. Venus Amoris ran second in a trial as a 2yo. She was an on pace runner that lacked strength. Shooting to Win won his only 2 starts at 2 and won the Group 1 Caufield Guineas at 3. Venus Amoris is 3s x 3d to Encosta De Lago. He is a large horse and will put size and strength into the mare. Tiger Eyes performed as a 2yo at trials and showed speed throughout her career. Rubric will add to the 2yo speed and strength. 3 doses of Lunchtime through Great Selection, dam of Choisir, Desmond Lass the dam of Canny Lad and as the sire of Snippets. Danehill is present 4s x 4s also. This will fly as a 2yo. 16. Touch of Greatness/Shooting To Win. Very exciting mating this. We have already tried it last year and we were presented with a fantastic type of colt. There are 4 doses of the 9 family, the family of Eight Carat. It is also 5s x 4s to Sir Tristram. The 3 sires, Shooting to Win, Don Eduardo and Lacryma Cristi are all from the 9 female family to enhance the dams bottom line. After the smashing colt that we bred last year, we had to try it once more. Yuma was placed at 2 against English in a trial. she also placed in a race. She went on to win 3 in succession and 4 all up, all in Sydney. She has a sister and brother on either side of her pedigree, Moslem Chief on her side and the mare Believe Me on her sires side. Northern Dancer is 6s,6s x 4d also. Yuma Desert is a great sort and so is The Triple Crown winner and Champion 2yo of the US, American Pharaoh. We are excited. Curvaceous is a Zabeel mare and the dam of 3 stakes horses including Group 2 winner Curved Ball by Fastnet Rock. The most important thing here was to get the mare in foal. The result is inbred to Sir Ivor 7d x 7s, Star Kingdom, 7s x 5s plus 5 doses of Almahmoud. The mare has not been tried with the Mare than ready sire line. This Pedigree has a dose of Danehill 4d x 3s and Danzig 5d x 5s,4s. Never Say Die 8s x 6d. Now Now is a big mare and showed plenty as a 2yo before chipping her knees. She still won 5 races but could only work in the swimming pool. Capitalist is a smaller horse that will be advantaged by some size. Now Now is already proven to leave 2yos with Fiesta this year winning The Group 3 Widden Stakes and being placed in her only 3 stakes races. Fiesta will compete in the Golden Slipper. The resultant foal, if correct type, will be worth a lot of money. Both her 2yo and her 3yo have shown some real promise. Fox wedge will put some size into what is a smaller mare. Non Stop Rock out of the mare showed some promise and was by Fastnet Rock. Fox wedge was tried because the mare does not warrant the expense of Fastnet. Dazzling Girl is inbred to Danehill 4s, x3d x 4d. She is a very attractive mare who is out of a Stakes placed mare (That Kind Of Girl) and also a half sister to a winner of 3 that ran 3rd in the Maribyrnong Plate, Intrigued. Defcon is a very attractive horse also and won the Group 3 Black Opal. Rose Red is a smaller Spinning World Mare. She needed some size and strength that Wandjina can give. He suits her pedigree and also adds some Lunchtime speed that will help her. Rose Red comes from a family that I have had for 3 generations. she is leaving a nice type but needing size. 23. Blowin in the Wind/Vancouver. Vancouver won the Golden Slipper and is out of a Danehill mare. Blowin in the Wind is by Danehill. He was a champion and there will be very few chances to try a 3d x 2d inbreeding to Danehill ever again. that breeding was tried often by great breeders in the past and there is no reason why it would not go well in this day and age. Looking forward to the result! Outreach was a sure 2yo but broke his leg in his first race. he ran second to Vancouver in the Breeders Plate, beaten by a nose with a broken leg!! His sister won the Golden Slipper as did Vancouver. Heavensentme is by champion 2yo Holy Roman Emperor. Physically we run a risk getting a small horse. Heavensentme has size though, so long as we don’t throw to HRE. 3s x 3s to Danehill. Both big horses sure to leave size. Kawakawa needs temperament and Exosphere will give it to her. 4d x 4d Marscay and 4s x 3s Danehill, Mr Prospector 5s x 4d, Sir Tristram 5s x 5d. Both have good conformation so long as they don’t leave too big. Sent purely because Via is a full sister to a 3 time 2yo Group 1 winner. I believe that Outreach would have been one also. Size is a question as Via is not tall but a beautiful type. Via has left a 2yo winner by Denman so I think that she is change to do it. This will run! Very interesting pedigree with 4s x 4s to Danehill, My Trica 5d x 4s, Sir Tristram 5s x 4s and Biscay 5s x 7s. Laconic had speed but got injured early. She is out of a winner of 5 and a half to a stakes winner, together with a full sister 2yo winner. This mare is already the dam of a Group 3 winner, Vinnie Eagle. The Pierro/Danehill cross is unbelievable. Danehill Dancer leaves 2yos often. It was a no brainer to go to Pierro. Really looking forward to this result. This result will be 6d x 5d inbred to Secretariat. Both these horses are good types. It is anticipated that we will get a late 2yo with this mating. plenty to like here. 30. Senseless War/ Bull Point. This will be the 3rd foal out of the mare if we achieve success. the mare has been hard work from a breeding point of view but has a fantastic pedigree. We will just be pleased to get a result here. Danzig 4s x 3s, Nijinsky 5s x 4d, Mr Prospector 5s x 5d, and full brothers Graustark 4s and His Majesty 5d through male and females. Size and strength will not be a problem!! Euchre was sent to Rubick because it was felt that she was too old to send to Not A Single Doubt. Rubick is by Encosta De Lago and he is the sire with the best results from Final Card mares. In saying that, Euchre has been an outstanding broodmare. we have retained a Choisir out of her and a Eurozone. Euchre has left 3 stakes performers including a Group 1 winner and all that raced were winners. Euchre is part of the family and is a great nannie also, so she will always have a place at home. 2018 Fairhill Farm Weanling Crop.